The Centre for Urban Design and Mental Health does not currently offer courses. However, there are free opportunities for citymakers to learn about mental health, and for mental health specialists to learn about architecture, planning and other aspects of city design. "Learn how social factors promote mental health, influence the onset and course of mental illness, and affect how mental illnesses are diagnosed and treated. This course explores how our understanding of mental health and illness has been influenced by social attitudes and social developments in North America and around the world. The course begins by situating our contemporary mental health practices in historical context, then looks at different aspects of mental health, mental illness and mental health services and their connections to what’s going on in our social environment." "Each module in Designing Cities will focus on a different aspect of city design including: How Today’s City Evolved; The Ideas That Shape Cities; Tools for Designing Cities; Making Cities Sustainable; Cities in the Information Age; Preserving Older Cities; Designing New Cities, Districts and Neighborhoods; The Challenges of Informal Cities and Disadvantaged Neighborhoods; and Visionary Cities. 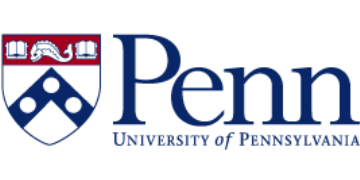 Materials will be presented by the instructors and guest faculty from PennDesign through a series of five or more lessons per module, each typically 10-12 minutes long."